I know, I know, the obvious caveat: Klaus Barbie, the Butcher of Lyon, also served the CIA after the war, ran a Bolivian death squad, the “Handmaidens of Death,” that trained Nicaraguan Contras & exported cocaine to American streets. Please tell it to Spiegel. (It’s actually here, though, buried in redactions & explained by identification – the Gehlen Org, it’s disclosed in German documents, ”knew” Barbie’s address in Bolivia. The Org, it’s well known, was an arm of the CIA’s cold war espionage apparatus. So the CIA’s jackals knew where Barbie was hiding & could have blown the whistle on him at any time, but chose to collaborate with him instead. 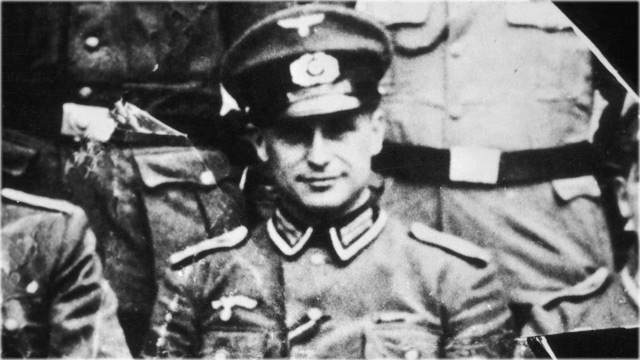 Notorious Nazi war criminal Klaus Barbie was a secret agent for West German intelligence in Bolivia after World War II, German magazine Spiegel reported. The former head of the Gestapo in Lyon was recruited in late 1965 in La Paz, where he was living as Klaus Altmann, & given the code name “Adler” (“Eagle”), Spiegel cited documents from Germany’s foreign intelligence agency, the Bundesnachrichtendienst (BND), as showing. The “Butcher of Lyon” used his connections with top officials like the Bolivian interior minister & the La Paz mayor to send reports to West Germany, & was noted as being “intelligent” & “discreet,” Spiegel said. Such suspicions are not new but the documents seen by Spiegel provide proof for the first time, & there are also indications that the BND was well aware of its agent’s real identity, the magazine said. The cooperation ended abruptly in 1966 when the BND became worried that the Soviet Union & communist East Germany — this was the height of the Cold War — might use his real identity to blackmail him, Spiegel said. Also, the BND contained other former SS & Gestapo people who would have known Barbie, & its predecessor, Organisation Gehlen, knew Barbie’s address in southern Germany before he fled to Bolivia, the magazine said. Barbie lied by telling his handler that he had been in the Waffen SS & had fled East Germany in the 1950s, & the BND would normally have checked this thoroughly before hiring him, Spiegel added. There are signs in what Spiegel called a “noticeably incomplete” BND report on Barbie that these checks were carried out, the magazine said, & suspicions were also raised when he declined to come to West Germany for training. In the early 1970s French Nazi-hunters Beate & Serge Klarsfeld tracked Barbie down & France succeeded in extraditing him in 1983. He was sentenced to life in prison in 1987 & died in jail in 1991. The Spiegel report came a week after the Bild daily cited newly released documents as showing that German intelligence knew Adolf Eichmann was hiding out in Argentina eight years before Israeli agents kidnapped him in 1960. 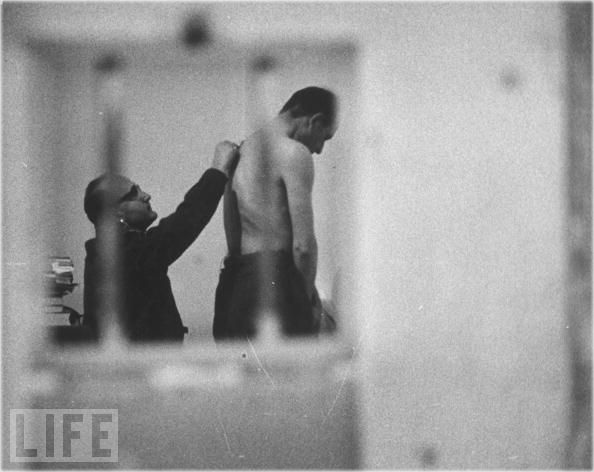 In 1960, Mossad agents snatched Eichmann, one of the main executors of Adolf Hitler’s “final solution”, in Buenos Aires. He was brought to Israel for trial, where he was convicted & hanged in 1962. The head of the BND, Ernst Uhrlau, has pressed for years for historians to be given greater access to the organisation’s files, & these revelations are likely to strengthen his case, Spiegel said. Another important “privileged” group were Jews in mixed marriages. Nazi hardliners argued that Jews married to non-Jews had “infected” the “Aryan” line & should be exterminated first, but Goebbels was still concerned about protests. These Jews were prosperous, & many had friends or relatives who were now senior Nazi figures. As Goebbels put it, the position of intermarried Jews was “sensitive” & their deportation was deferred. 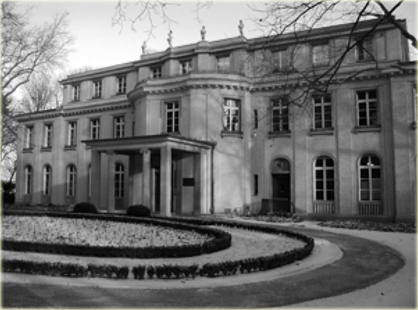 Russian soldiers fighting their way through the rubble of Berlin in the last days of the war turned the corner of Iranische Strasse, in the district of Wedding, & came across an elegant building almost intact. Fanning out to search the structure, the Russians ransacked the place, room by room. Medical equipment & rows of beds showed that it had once been a hospital. Searching deep into the bowels of the building, the Russian liberators burst open cellar doors, & in the darkness made out hundreds of cowering figures – more than 800 people in all. The discovery that 800 Jews had survived Hitler’s Final Solution in the middle of Berlin staggered the city’s liberators. That they had survived in the full knowledge of the Nazi high command beggared all belief. The Russians had stumbled upon the last Jewish sanctuary in Germany – & upon an extraordinary story of survival. & yet over the years it has been a story that few have been able or willing to tell. Because how could this have happened? Who were these survivors? & what was Hitler’s sinister purpose in permitting them to live?